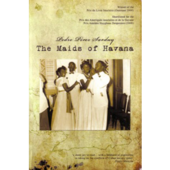 The first novel by the Cuban ballet superstar, written in between rehearsals and shows, inspired by magical realist writer Gabriel Garcia Marquez. 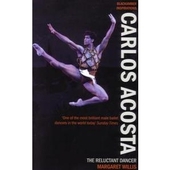 Carlos Acosta is exploring a life beyond ballet. 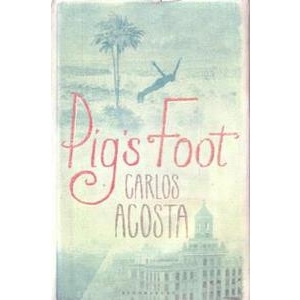 Pig’s Foot is the novel he created as he escaped into his own world of story telling whenever he had spare time in his hectic schedule of rehearsals and performances. The idea for the novel began with its title. Acosta imagined a tiny hamlet in a remote part of Cuba, somewhere between the Sierra Maestra and El Cobre. Apparently he never read a book before the age of 25, but then discovered the Latin American greats, especially Gabriel García Márquez. This novel reveals that inspiration, with its magical realist overtones. The village of Pata de Puerco (Pig’s Foot) evokes Macondo in Marquez’s ‘100 years of Solitude’ – a place of incredible characters, and strange happenings and a village “where anything is possible”. The narrator of this exuberant tale is Oscar Mandinga, who suddenly finds himself utterly alone in the world. As the last in his family line, Oscar relates the history of his ancestors and village, as it has been told to him by his grandfather before he died. His great-grandfather Oscar and friend José, escaped slavery, married two sisters and from there the unravelling thread of ancestry provides the stories: of mothers who die in childbirth, sons raised by false fathers, brothers falling in love with sisters and a man inventing the Art Deco style. Into Oscar’s journey of self-discovery, Acosta sprinkles a little political and social history: the war of Independence against Spain where Oscar’s great-grandfather and José fight with Antonio Maceó and Máximo Gómez; the USS Maine incident in Havana harbour ; the 1990s tough economic times following the collapse of the Soviet Union. Sometimes one wishes for a more intimate weaving of political events into the story, but perhaps Acosta’s point is precisely that political events often serve only as a backdrop – his focus is the theatre of life. He is however, strong on the different personal experiences of two generations of Cubans – the older generation, who lived through the Batista era and regard the Revolution as the best thing that has happened in their lives and the under 40s, including Acosta, whose strongest memories are the shortages of the “special period”. The novel’s end is ambiguous, is it questioning the truth of Oscar’s account or the place of history in our lives? Pig’s Foot keeps you turning the pages, and is a truly enjoyable read.